Food – Deserts – A few days ago when I walked down the Singapore River Walk I passed signs for The Fabulous Baker Boy cafe. It is located on the North end of Fort Canning Park at 70 River Valley Road #01-15, Singapore 179037. We walked over to the cafe this morning ( only about 0.75 miles ) and were able to be seated. Most tables were reserved for people with reservations. That is something we will do in advance the next time we go. The place is not very big having enough tables to seat about 40. (NOT FOR THE FAINT HEARTED) Sourdough Brioche soaked in a lovely batter made with eggs and cream, fried and finished with cinnamon sugar and drizzled with maple flavoured syrup. We both agreed that this could easily be the best French Toast we ever have had. They also have some incredible looking pancakes and egg dishes. We want to try the pancakes next time. We were able to set at our table and look out through the North facing all glass wall. The cafe is situated in a very nice area on the edge of the Park. As the name implies, this is not just a cafe, but also a bakery. You can see some of their really delicious looking cakes in the photo above. Slices of the cake range from $9 to $10 and a full cake from $65 to $100 (Singapore dollars which are currently worth $0.73 USD each). I would like to try many of those cakes, but that will have to wait for another day. Check out their ‘Daily Bakes‘ for a full mouthwatering, calorie-rich list. Will we come back to The Fabulous Baker Boy? Absolutely, but unfortunately not too often. This is certainly a place I would recommend for breakfast. My wife and I are in New York for a little vacation. Cafe Lalo (http://cafelalo.com) was recommended to us. We went by there yesterday for a late breakfast. This in a nice place that is stuck in amongst apartment buildings. It is located at 201 West 83rd St. I don’t know about that, but I do know that they had good breakfasts. 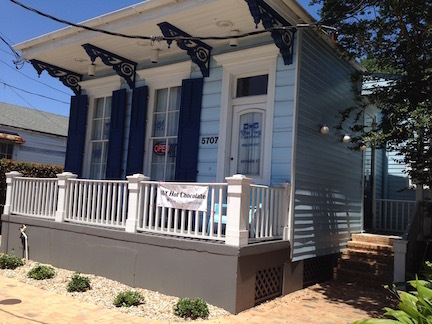 I had a three cheese omelette – Sharp cheddar, Brie and Blue Cheese. My wife had three scrambled eggs shiitake & porcini mushrooms. We went back to Lalo’s a second time (we both had the same dishes) and I did captured a photo of the deserts. They have a great selection! I hope to sample some of those. This is a place we would recommend to anyone and it likely a place we will return at least once on our brief trip to New York. My wife and I had heard about the Cow Tipping Creamery on Unique Sweets (Episode CCUQS501H). 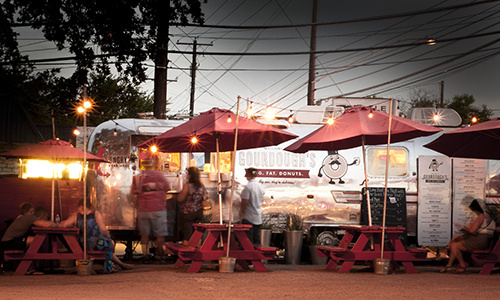 This isn’t a brick and mortar store, but one of the many food trucks that can be found around the Austin area. 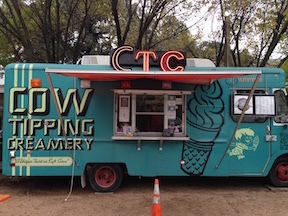 This one is located in a small lot with a few other trucks near the campus of the University of Texas in downtown Austin (2512 Rio Grande St., Austin, Texas 78705). Parking was a challenge as that area of town is full of apartments primarily occupied by students and most of the available street parking was taken up by those living in the area. This ice cream vendor offers soft serve with a wide array of interesting toppings on their menu. We chose to share an “At the Ritz” 12 ounce ‘stacker’. The ‘stacker’ is their version of a sundae, but they stack the ingredients to give great flavor throughout the desert. The “At the Ritz” is soft serve vanilla with brown sugar hot fudge peanut butter sauce. To top it off there were crumbled Ritz crackers sprinkled over the top. This made for a unique creamy, salty, chocolate indulgence. We won’t be visiting the Cow Tipping Creamery too often, but we can certainly recommend it as a great desert. Our last stop on our day of desert exploration was at the Salty Tart Bakery. There are two locations. 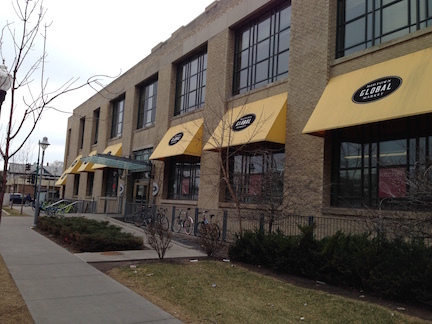 We visited the one located at the Midtown Global Market, 920 E. Lake St., Minneapolis, MN. It was a little hard to find as it was near the center of the Market among a variety of restaurants and shops. 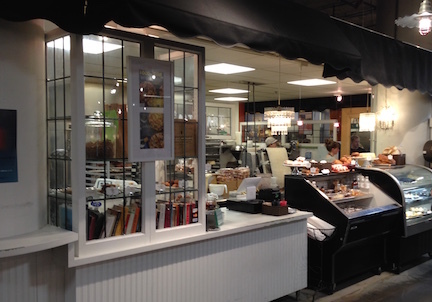 The Salty Tart Bakery is the establishment of award winning pastry chef Michelle Gayer. We sampled a few items and they were all delicious. We particularly liked the Coconut Macaroons, but that was to be expected since they were featured on the Food Network program Best Thing I Ever Ate. 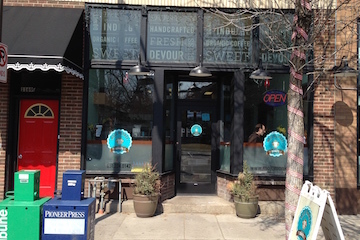 The third food establishment my wife and I visited in the Twin Cities area was Angel Food located at 86 S. 9th Street, Minneapolis, Mn 55402. We had a little difficulty finding Angel food as it does not have an external door. We drove by the site without seeing it and had to find a nearby place to park, then come back on foot. At walking speed we discovered that Angel Food lay within the first floor corridors of the building and we soon arrived at our destination. There were several items available and we selected a few to have with coffee at the small counter side bar inside. Seating space was very limited. Most of their business seemed to be take out and deliveries. 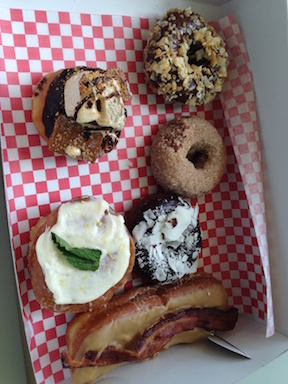 The items Angel Food had were good, but I think our earlier stops in the day (Nadia Cakes and Mojo Monkey) had over whelmed our taste buds and we were left a little disappointed. Had we made Angel Food our first stop of the day our opinions would likely have been higher. 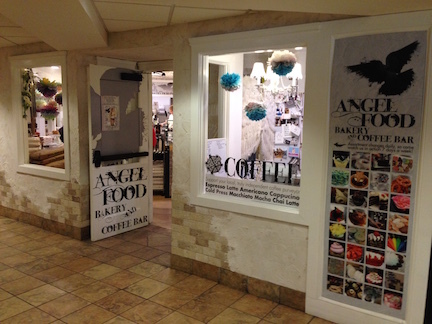 That said, Angel Food did have some nice treats, and I would not hesitate to recommend it to someone in the area. My wife had business in St. Paul and I tagged along as she had to stay over the weekend. We made a day of searching out interesting places and appetizing food. Our second stop was at Mojo Monkey. 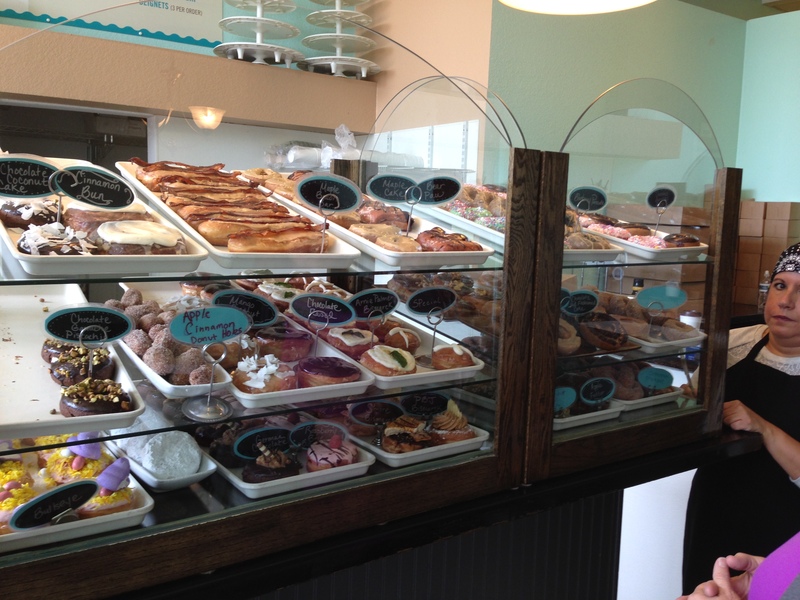 A bakery specializing in donuts which we had found recommended by one of the Cable Food programs. 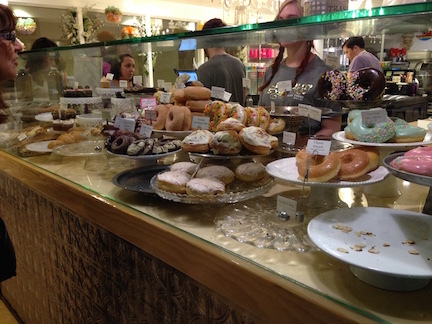 They had a nice and very tasty selection of donuts, and good coffee. 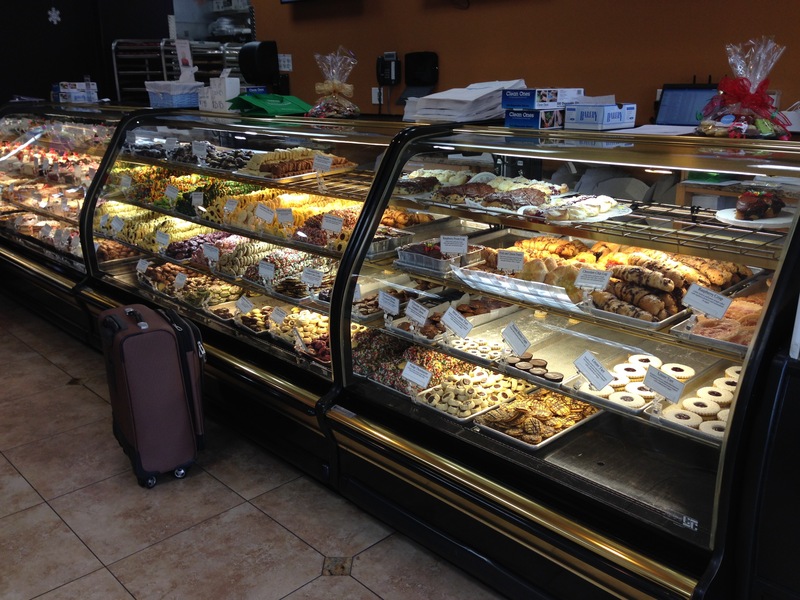 This small bakery is located at 1169 7th Street West, St. Paul, MN 55102. 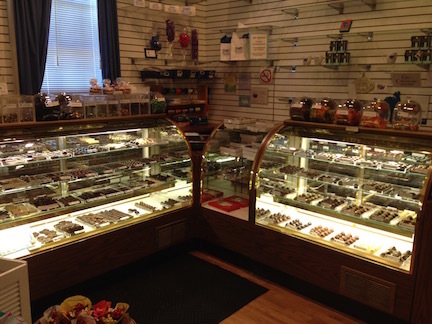 If you are in the St. Paul, Minnesota area and looking for something sweet I highly recommend a visit to Mojo Monkey. My wife had business in St. Paul a week and I tagged along as she had to stay over the weekend. We made a day of searching out interesting places and appetizing food. The first stop we made was at Nadia Cakes which had been recommended to us by a co-worker of my wife. 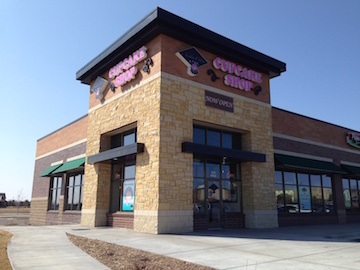 The bakery is located at 429, Commerce Dr, Suite #900, Woodbury, Minnesota 55125. 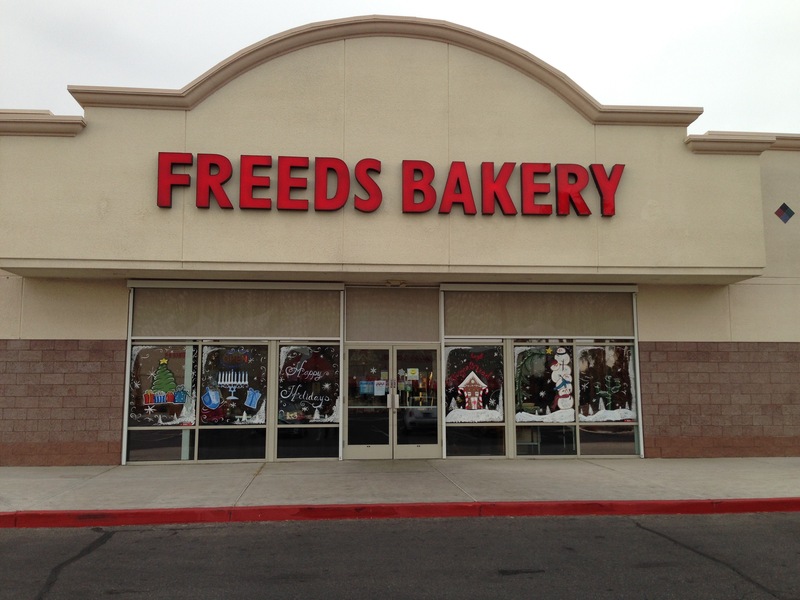 This bakery has earned multiple awards and they are well deserved. We picked out a few of the items Nadia’s had on display, and all were delicious. We regretted that we would not be in the area longer as it would take days or more likely weeks to sample all 162 cupcakes on their menu. Then again on second thought, perhaps our waistlines are better off with us living over 1000 miles to the south. 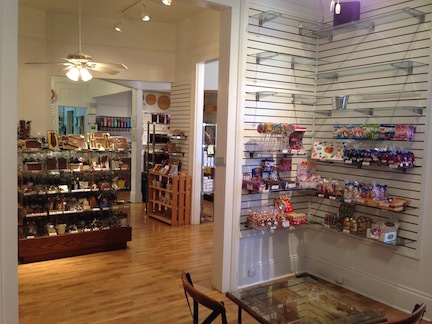 If you are in the St. Paul, Minnesota area and looking for something sweet I highly recommend a visit to Nadia Cakes.